When you ask Paul Lang what his favorite watersport is he’ll tell you his top three: wakeboarding, sailing, and kiteboarding. To him these activities are simply tools for getting on the water no matter what the conditions are like. When there is little or no wind you will find Paul wakeboarding. If there is too much wind for wakeboarding you will find Paul sailing. Too much wind for sailing (it happens), you'll find Paul rigging up his kite. His resume is that of a true waterman, with extensive knowledge in the nuts and bolts (literally) of all things watersports. When a position opened at MBAC that would be responsible for overseeing wakeboarding and sailing, Paul saw the opportunity to settle down from his travels around the world covering the sport of kiteboarding, and return to MBAC to see how many of the programming seeds he planted have grown. A job as a sailing instructor at MBAC was a perfect fit for Paul while he was a student at San Diego State. He had a great amount of experience sailing in Northern California growing up. As a kid he was captivated by adventurous stories told by his aunt and uncle who spent 5 years sailing all over the world and decided that he wanted to learn the sport for himself. After their return from sea, they offered to send Paul to a two-week sailing program at Sausalito Yacht Club where he became hooked on sailing. He purchased his first sailboat, a 14-foot FJ, with the money he had saved by selling his pig through the local 4-H club. At MBAC Paul was quickly recognized as a great sailing instructor and by the age of 20 he was promoted to Lead Sailing Instructor where he gained valuable experience supervising staff and the sailing department. Paul stayed busy during this time and became passionate about wakeboarding, often going out to ride with other instructors or hopping in on classes. He eventually obtained his US Coast Guard Captain’s license and occasionally took over instructing wakeboarding classes when needed. When kiteboarding came onto the scene Paul was very focused on learning all he could about the new emerging sport. 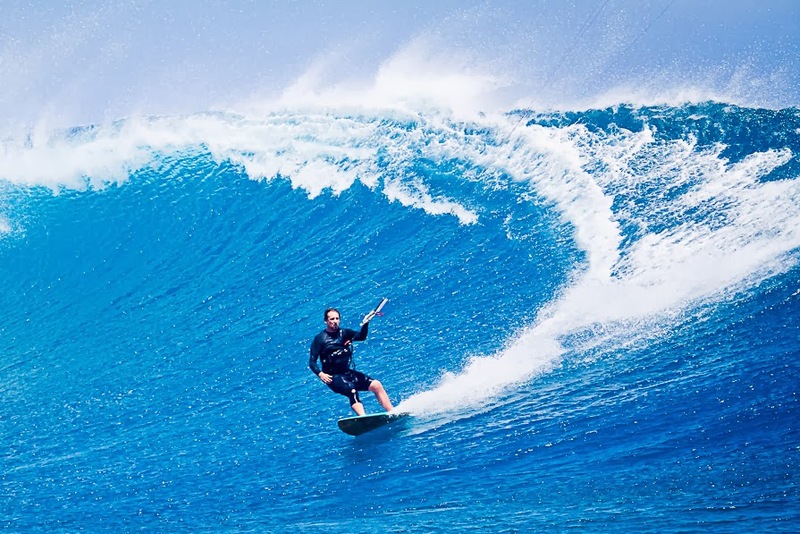 Since it was such a new sport there were very few resources to access and learn the sport so Paul took it upon himself to learn how to kiteboard and develop a cirriculum for how to teach the sport to others. Many students were interested in learning this new sport and Paul enthusiastically strived to teach as many people as he could, however, he soon learned that the relatively light winds in San Diego were prohibitive of teaching scheduled classes, and MBAC eventually discontinued the program. That didn’t stop Paul from continuing to develop his skills and he quickly became recognized as a talented kiteboarder. 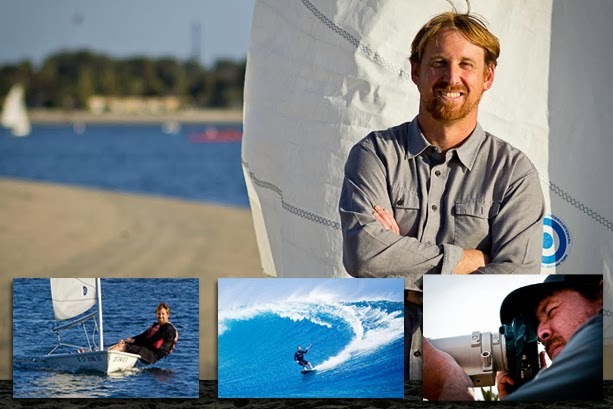 Paul continued to develop the sailing and windsurfing programs at MBAC and was eventually hired as MBAC's full-time Maintenance Supervisor, where he worked for three years before being offered the experience of a lifetime as an editor and photographer at The Kiteboarder Magazine. His job was to travel around the world writing adventure travel and kiteboarding stories, all while being able to continue to kiteboard in some of the world's most exotic locations. After a good run with the magazine, Paul found that it was difficult to be away from his wife for three months or more each year. As luck would have it, MBAC had a need for an additional Instructional Supervisor and for Paul the position was a perfect opportunity to return to a program he helped build and spend more time at home. In January, Paul was selected as the full-time MBAC Instructional Supervisor- Wakeboarding and Sailing. He hit the ground running with projects and improvements to the sailing and wakeboarding departments and hasn't slowed down since. He has already begun implementing a formal training program for new wakeboard instructors. His other short-term goals include developing a similar training program for new sailing instructors and offering new programs like a US Sailing Coastal Navigation class. Much of his time will be spent supervising his areas on the water and ensuring that MBAC customers consistently receive the most outstanding instruction. We are excited about the progress that Paul has already made with his departments and thrilled for what is to come. When you ask Paul what his favorite part of working at MBAC is he states, “I love to introduce people to watersports. I get to take people that have never been on the water and introduce them to something that can become a lifelong passion.” Paul enjoys the feeling that he influences the lives of many people who come through MBAC, helping them create lifelong enjoyment on the water, which is what his aunt and uncle did for him. We are excited to have Paul on our passionate team of full-time staff to complement our mission of sharing and spreading that passion for watersports to others.